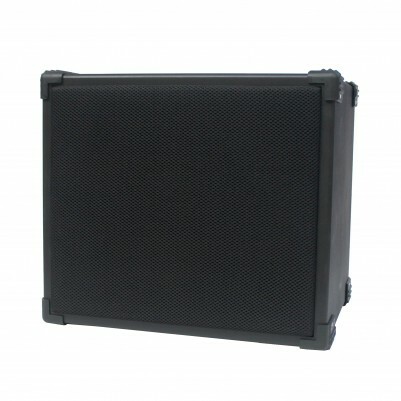 The is a great unit that is suited to all kind of sound reinforcement applications. Featuring a 10" woofer and a horn tweeter the 430 can handle 100W RMS. A top hat is fitted on the bottom of the cabinet to allow stand or wall bracket mounting and the connection is via a Speakon socket on the rear. The 430 loudspeaker is perfect for use with our Dance Combo for extra sound power and compatible with our 1820 speaker stands. Suitable cables are available in 1.5, 6.0, 12 and 20 meter lengths. Please note that the 430 loudspeaker is sold individually.